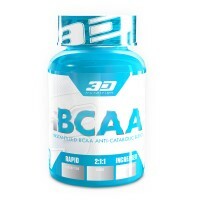 3D Nutrition iBCAA only makes use of instantized BCAAs as they are one of the most stable types of BCAA available. Not only are instantized BCAAs more bioavailable for use within the gut, they also have a greater dissolution rate which means that they have a better aqueous solubility. 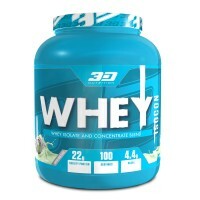 BCAAs comprise of the amino acids leucine, isoleucine and valine. 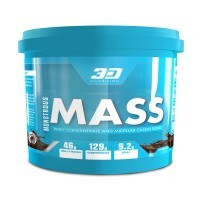 These powerful amino acids have been shown to increase recovery, prevent muscle catabolism, increase muscular energy and enhance the rate of protein synthesis. According to scientific studies, BCAAs have been shown to be most effective in promoting the above mentioned benefits when consumed in a 2:1:1 ratio. It is for this reason that we have included 1500mg of leucine, 750mg of isoleucine and 750mg of valine in our iBCAA supplement. 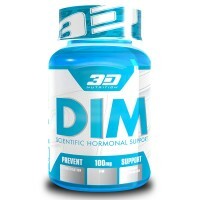 Take 5 capsules 30min before/after workouts. On Non-Training Days: Take 5 capsules on an empty stomach or upon waking. Drink at least 2 to 3 liters of water per day. This product does not have to be cycled. Do not use if pregnant or nursing. Consult a medical doctor before starting a diet or exercise program. KEEP OUT OF REACH OF CHILDREN. * These statements have not been evaluated by the Food and Drug Administration. This product is not intended to diagnose, treat, cure or prevent any disease.